Loosely based on the Roaches Vest from Cheech & Chong's "Next Movie" This playful condensed tuscan typeface is perfect for your biker club inspired artwork, halloween themed art, or just to give something a fun circus type feel. Bonesy Roaches is an upper case display Opentype font with SOME foreign characters and most standard glyphs (see below image for glyphs). The upper and lower cases are identical except for an alternate "R" and "T" in the lower case. 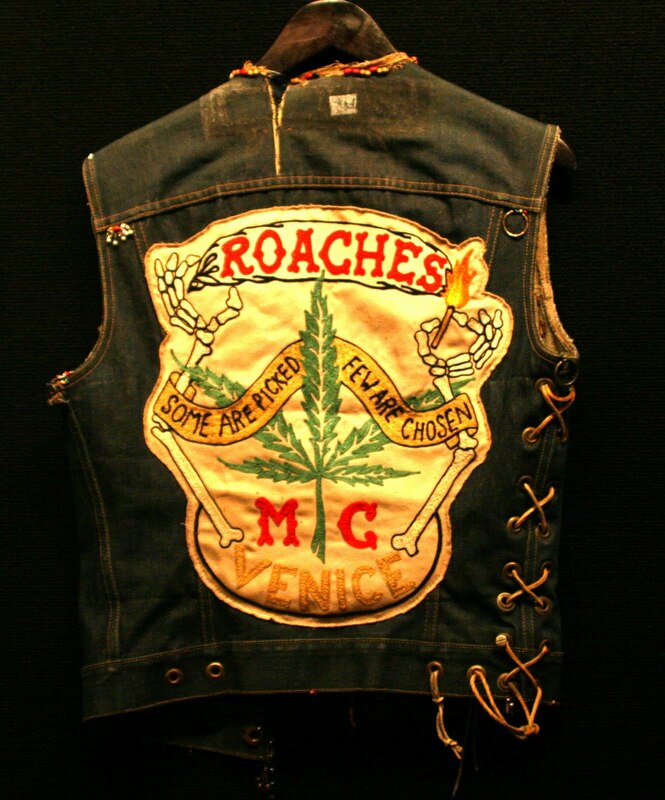 From biker jackets to kids birthday invitations, Bonesy Roaches is a pretty versatile display face.